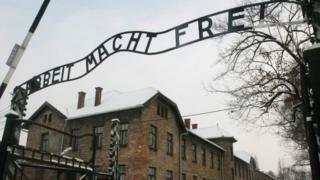 Two British teenagers accused of stealing artefacts from the Auschwitz death camp during a school trip are to face a trial, prosecutors have said. The pupils, from the independent Perse School in Cambridge, were allegedly seen by guards picking up buttons and fragments of a spoon from the ground. In June, the school said they had been fined after admitting responsibility. But Polish prosecutors said the boys had changed their minds and would now face a trial.